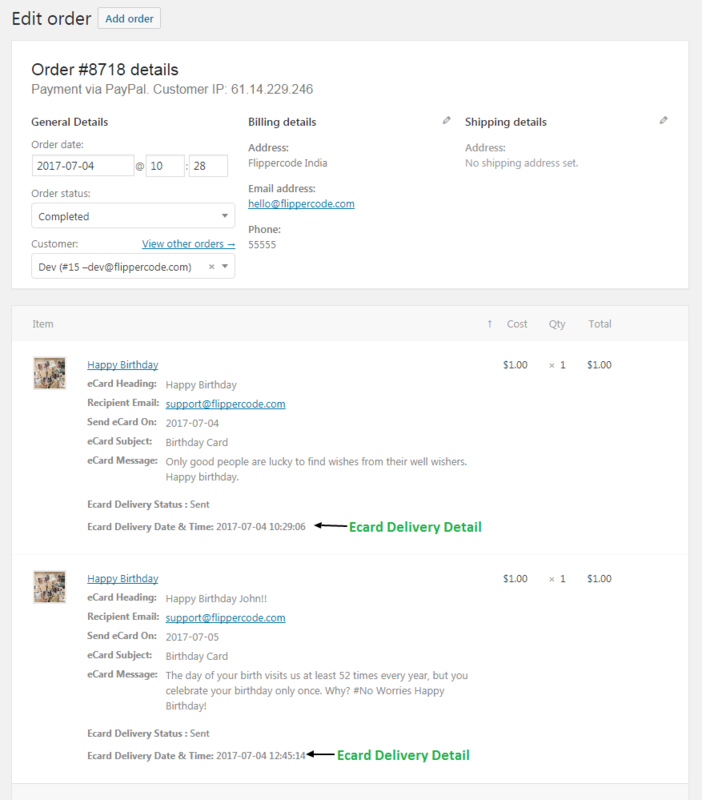 Sell & Send ecard using woocommerce shop. 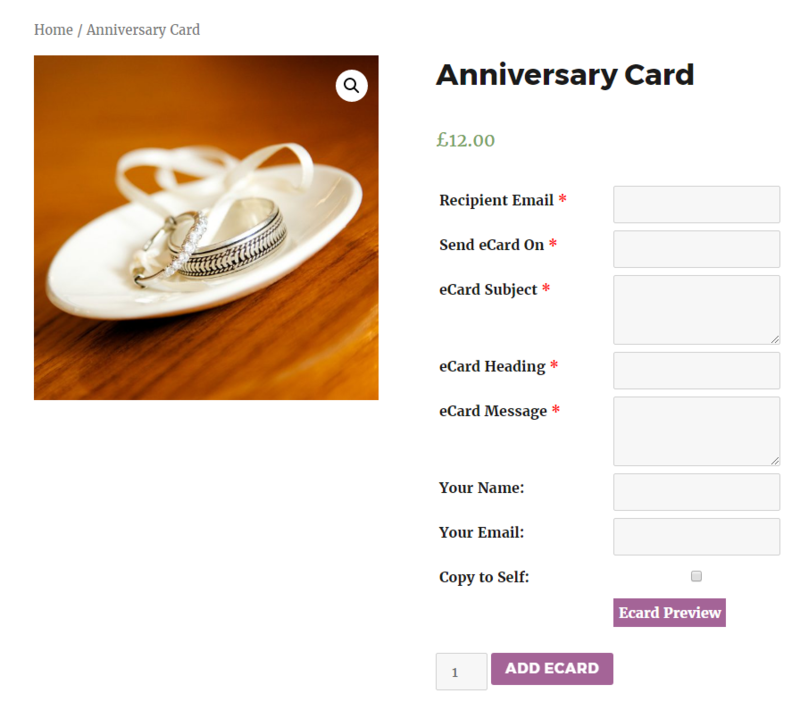 Easy to convert a simple product into a ecard. 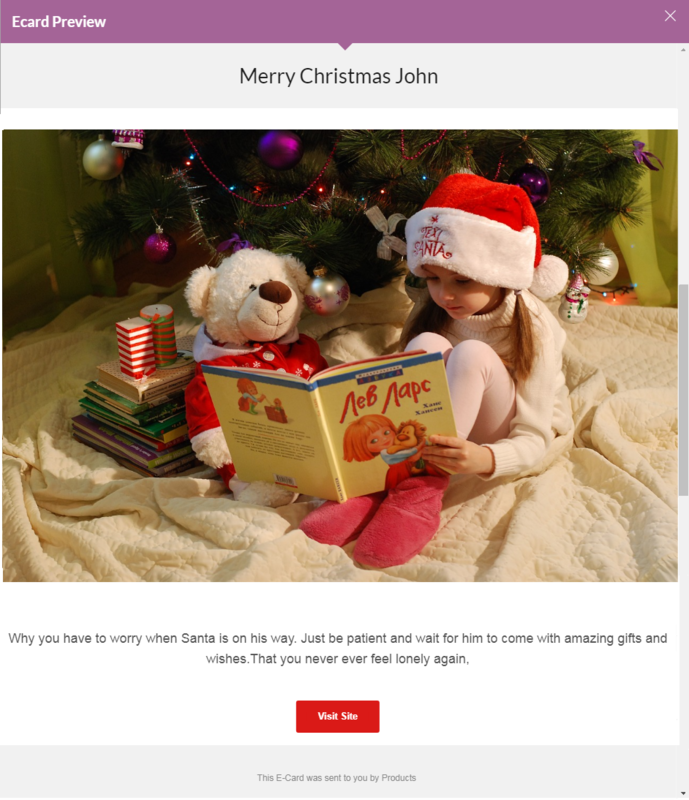 A visitor can send ecards with a customized message and schedule date. 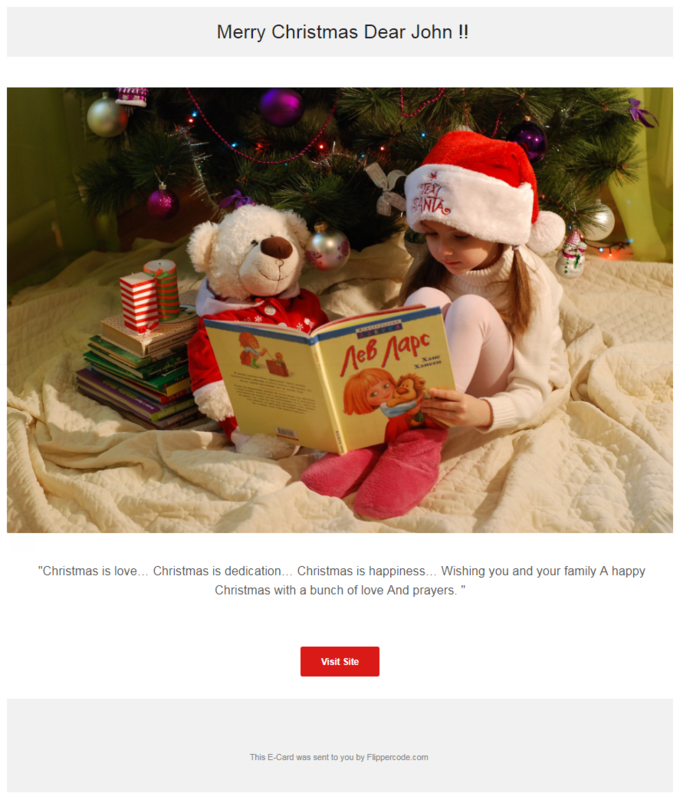 Visitor can send ecard with a customized message and schedule date. 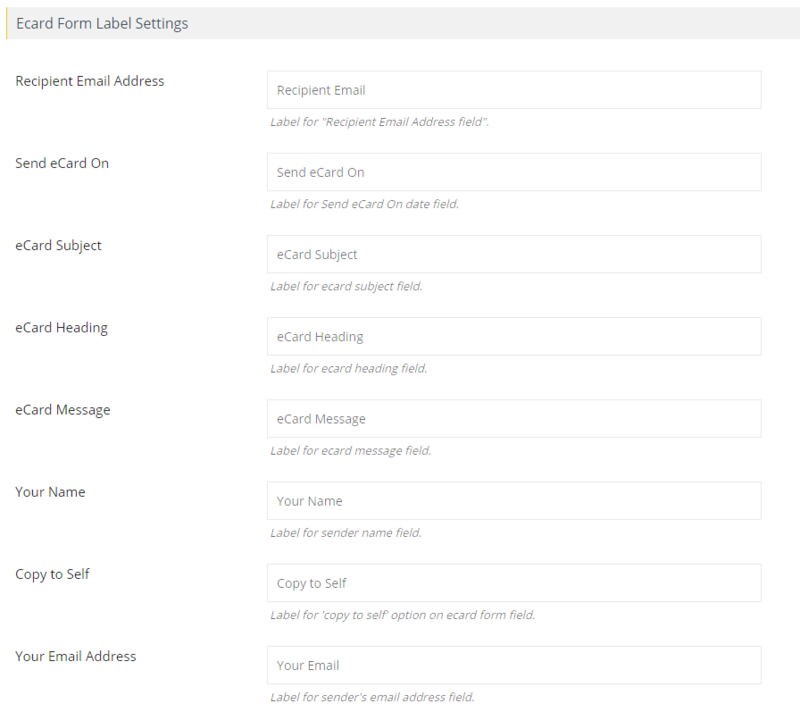 This form is fully customizable in the backend. 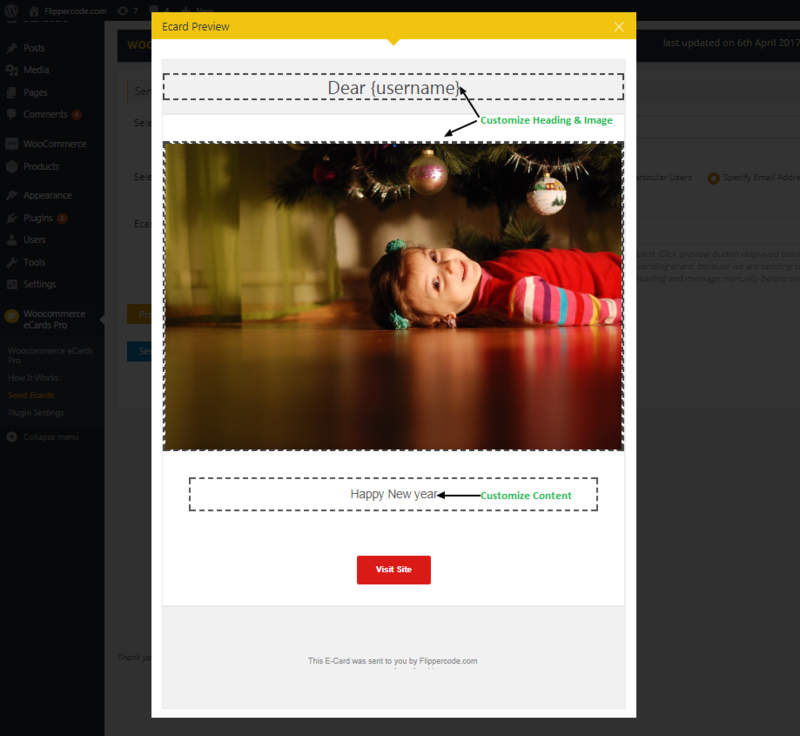 It’s easy to see preview before sending ecard and visitor can edit it anytime. 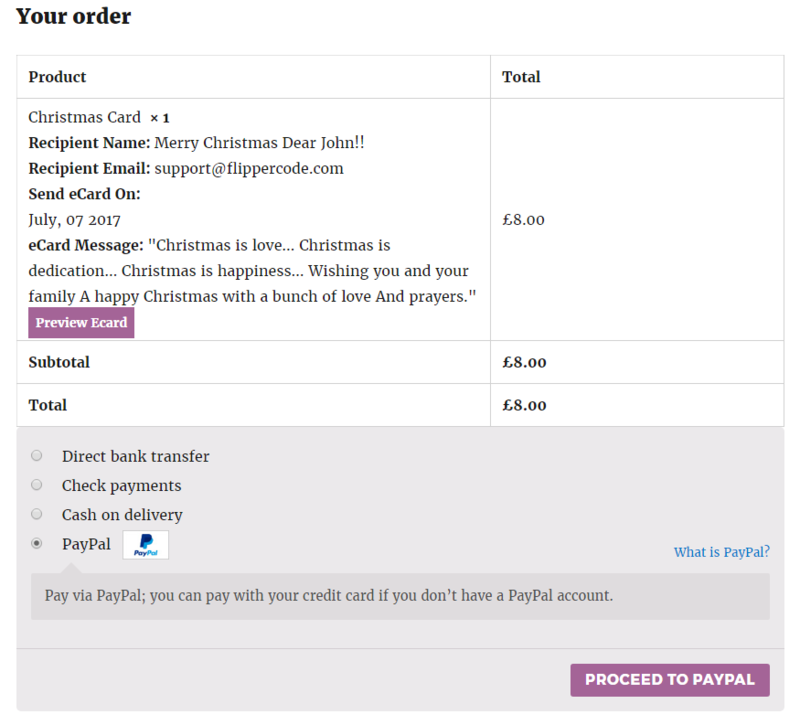 For flexibility, Visitor can customize the ecard just before the checkout process. 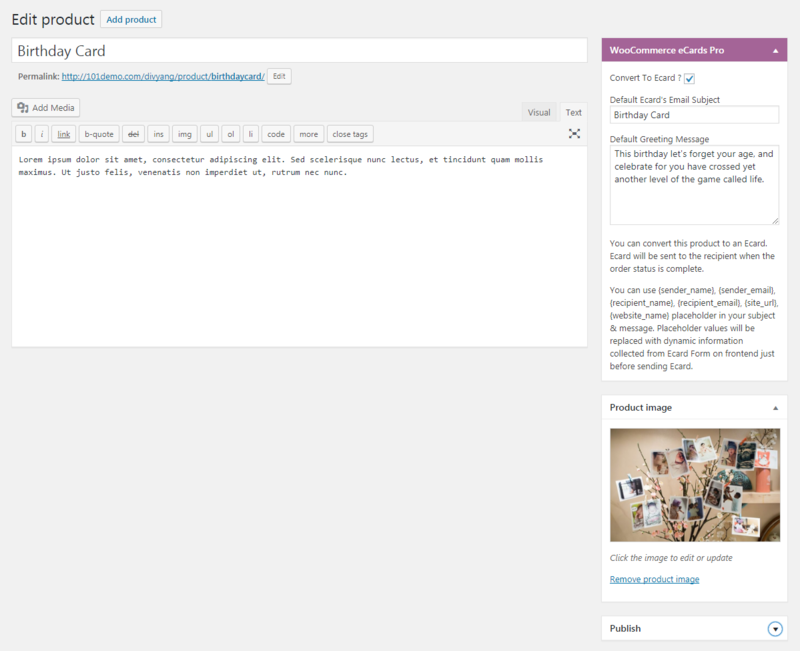 ADMIN CAN SEE LIVE PREVIEW & UPDATE ECARD CONTENT, ECARD IMAGE. CLICK & START UPDATING. 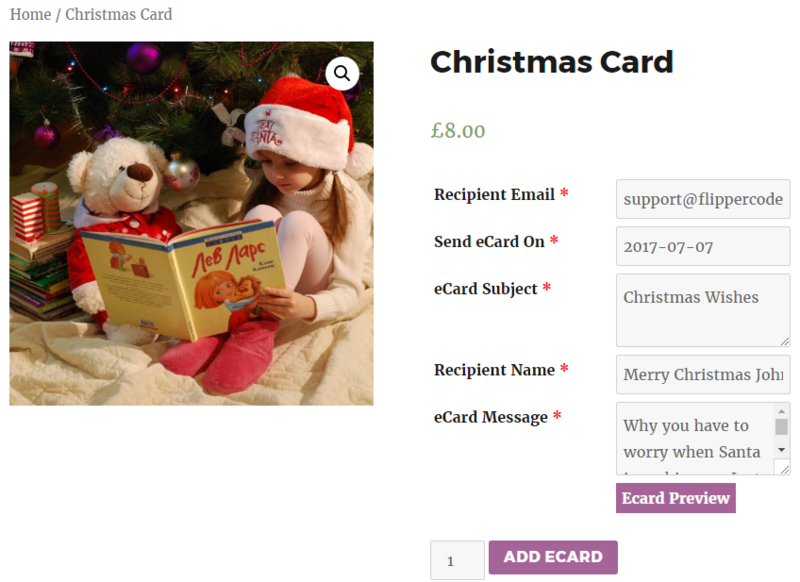 Sell Ecards on your WooCommerce Store and send beautiful Ecards to your users. 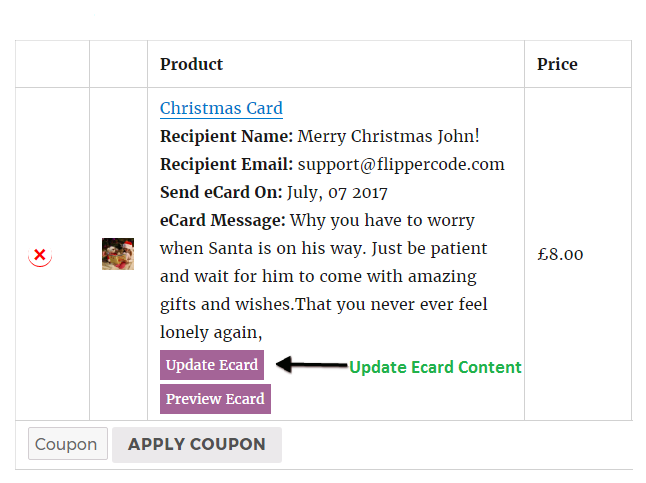 Step 1: Install WooCommerce Ecards Pro plugin. 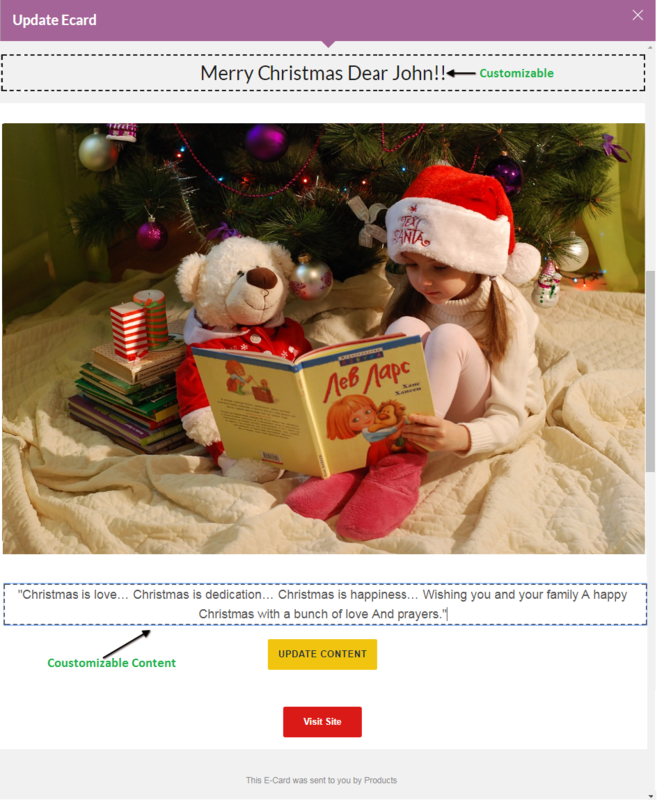 Step 2: Create Ecard Product Using Metabox Provided. Setup Default Ecard Heading, Content According To Ecard. 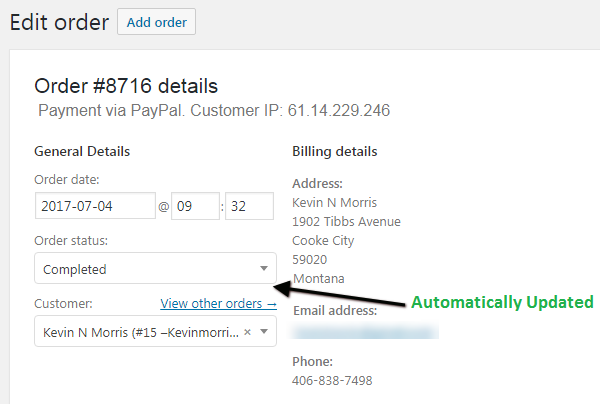 Step 3: Setup Price, Publish It.